Pliene Air Travel Sketching: A Watercolor Workshop in Annapolis Md. Jean Brinton Jaecks. Well to say the least, Carol and I have been art busy since last month. Pliene Air Travel Sketching: A Watercolor Workshop in Annapolis Md. Our instructor was Jean Brinton Jaecks. Jean did a great job explaing how the light reflects off things light building and trees. She also explained how light looks when soming through a tree, it makes the tree glow. I enjoyed the workshop very much. Day One: We started sketching at St. John’s College. Then everyone did two sketches around campus. 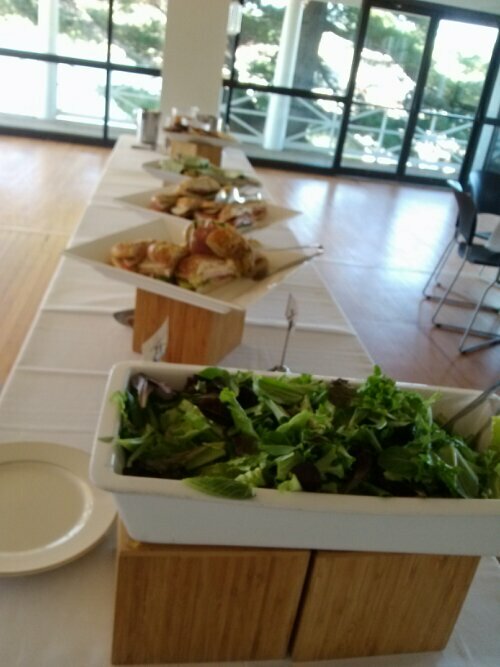 Lovely lunch provided at the boathouse on campus. Day Two: We hoofed into town (a few blocks) and sketches houses. Carol and I sat together so we have similar subjects. 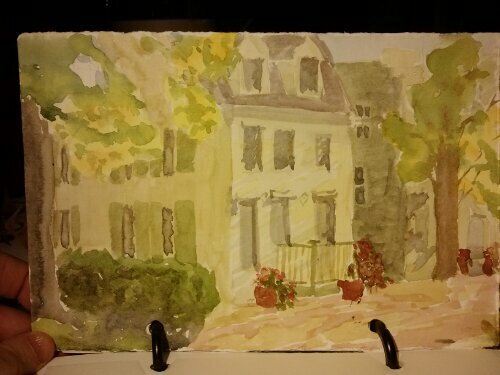 While we were sketching houses the owners came across the street for a peek and a chat. Everyone was crazy friendly on this perfect October weekend. The sun/light kept coming and going behind clouds. So when they say paint the “LIGHT FIRST”, they mean it. I finally figured out what the teachers have been saying. Duh! After a sketch in town we wandered back to the boat house dock to paint the College Creek. A water painting. Hmmm. I find watercolor very difficult. I am not painting fast or confident enough….practice! Practice!practice! Ugg…it always comes down to hard work…lol. After a very nice lunch of soup and salad. Few hints: bring paper in different sizes, no larger than 9×12 inches. Larger paper means longer time. Practice drawing BEFORE you go! Practice trees, buildings. Bring camera, charged phone, gloves for cold mornings and money for coffee. A little snack would have helped. Our lifesavers were are art carts. They carry art “STUFF” and have an attached seat. For the old and weary it was a welcome spot. 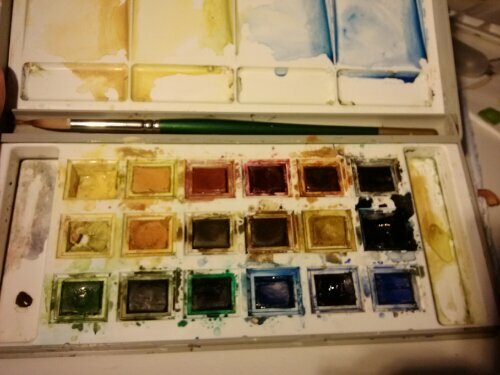 Watercolor sketching is an optimum way to see and experience travel and understand the world around us. This workshop will focus on the study of atmosphere in the landscape, architectural details and expressing light in its ever changing moods. Artists will explore and sketch on the St. John’s campus, College Creek, and the historic houses and gardens in Annapolis surrounding the campus. Travel sketching can be very portable, and choosing the correct materials is essential. 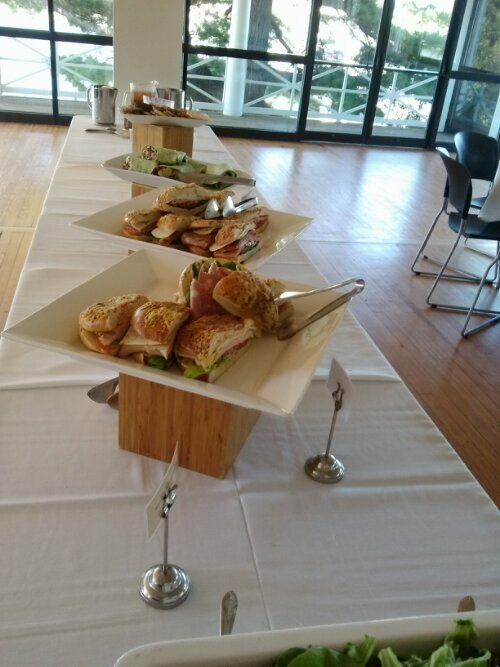 Lunch will be provided by St. John’s College, and a critique will complete each day. Participants should dress for the outdoors.